Guided by an entrepreneurial spirit and an unwavering dedication to academia, the then-24-year-old Sara Miller McCune founded SAGE Publishing in 1965 to start a company that would allow scholars to disseminate quality research in their own voices and break new ground in emerging fields of study. Today, Ms. McCune is executive chairman of SAGE Publishing’s board of directors and is also the director of SAGE Publications Ltd (London, founded in 1971) and Corwin, a SAGE company and leading publisher for educational administrators and teachers. SAGE set up subsidiaries in India in 1981 and in Singapore in 2006. Ms. McCune remains actively involved in the company’s expansion and development. Reflecting her longstanding interest in philanthropy, especially in promoting social, educational, economic, and environmental justice, Ms. McCune is founder and president of the McCune Foundation, a nonprofit organization based in Ventura County, where SAGE’s home office is located. The foundation supports productive change through building social capital in two counties on California’s Central Coast. In 2007, Ms. McCune founded the Miller-McCune Center for Research, Media and Public Policy, which launched the award-winning magazine Pacific Standard. In 2017, the magazine and the center’s mission were transferred to the newly launched Social Justice Foundation, a non-profit organization with a mission of informing and educating the public with content based on scientific research and supported by SAGE Publishing. In 2002, the McCune Foundation’s board of directors agreed to award grants to grassroots organizations in Ventura and Santa Barbara counties that build “social capital” with an emphasis on educational and other opportunities for the poor and underserved. This program remains a priority of the foundation, which has supported groups such as the Oaxacan farmworker community in Ventura County and Just Communities in Santa Barbara County. 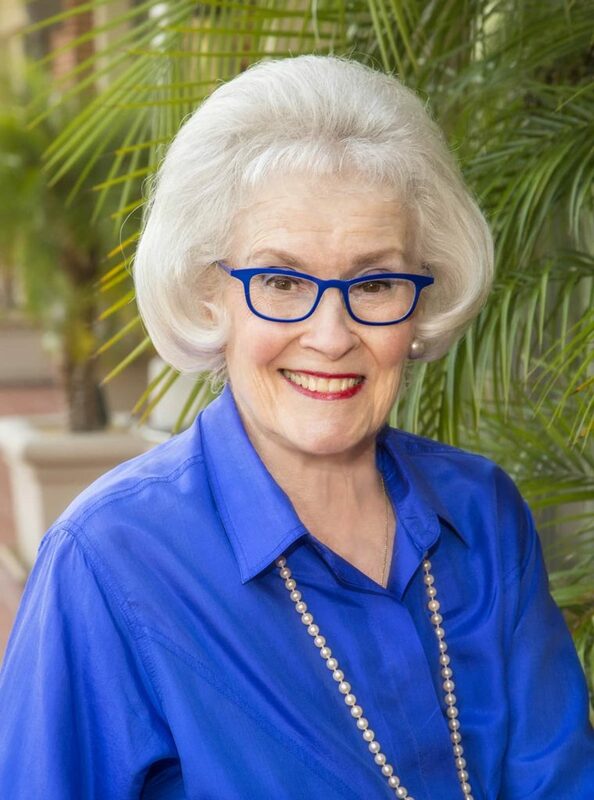 Ms. McCune’s philanthropic efforts extend to the local medical community; in 2007, she arranged a donation of $2.5 million to Santa Barbara Cottage Hospital through SAGE. Ms. McCune is a passionate supporter of the arts. She was on the board of the Santa Barbara Center for the Performing Arts from 1998 through 2009 and, for much of that period, served as chief financial officer, helping the center to restore and reopen its Granada Theatre in March, 2008. She served on the board of directors for the Community Arts Music Association of Santa Barbara until 2014 and remains a member of the planning committee for the association’s 2018-2019 centennial anniversary season. Ms. McCune has a long and highly-respected history of providing financial support to numerous, diverse organizations in the greater Santa Barbara community – particularly in the areas of education and cultural arts. To name just a few of Ms. McCune’s philanthropic contributions: Granada Theater Restoration Project, Santa Barbara Symphony, Ensemble Theatre Company, Santa Barbara Center for the Performing Arts, and SAGE Center for the Study of the Mind at University California Santa Barbara. She is also a trustee and supporter of the UCSB Foundation. In 2012, Ms. McCune received an honorary doctorate from her alma mater, Queens College, for her visionary work as publisher, philanthropist, and entrepreneur. In 2014, she was awarded an honorary fellowship from Cardiff University and an honorary doctorate from Bath University and in 2016, Ms. McCune received honorary degrees from CSU Channel Islands and Sussex University. Ms McCune is also an Honorary Fellow of the prestigious Pembroke College of Oxford University. Over the years, Ms. McCune has received a number of additional awards for her business, academic and philanthropic achievements. In 1988, she received the American Evaluation Association’s Special Award for Distinguished Contributions to the field of evaluation in recognition of the influential role SAGE played in institutionalizing evaluation. In 1993, the Knowledge Utilization Society awarded her its Outstanding International Service Award.